TFD » Blog » Posts tagged "bridal florists"
When you think of ‘rustic’ the first things that come to mind may be a remote log cabin or a barn on a farm, but you don’t have to be getting married in the middle of nowhere to go with this wedding theme. Reflecting a growing desire among people to reconnect with nature and towards more natural styled wedding flowers, many brides are now choosing a rustic wedding flowers theme. Nature is a great resource for decorating ideas and can also allow the wedding to include some of the groom’s tastes too. Going ‘rustic’ doesn’t have to mean checkered tablecloths and lots of wood. Containers such as ceramic or metal milk churns and jugs can be incorporated in wedding reception arrangements, plus plant pots, crates, jars and items such as weathered old furniture, lanterns, suitcases, ladders, watering cans, wheelbarrows or bicycles. Lights, bunting, streamers, tissue paper pom poms and balloons suspended from ceilings also help create a rustic feel. The great thing is, this type of decoration can be as simple or elegant as you want it to be. The deciding factor of any wedding scheme is usually the location, but rustic weddings needn’t be confined to rustic wedding venues such as barns, as rustic wedding decorations can provide a lovely contrast in modern venues such as warehouses, large halls, galleries or hotels. And if you’re getting married outside, or somewhere with lovely grounds, it’s a natural fit for your bridal flowers. The key to a rustic wedding is making sure that everything looks natural. The wedding bouquets should be less structured, and a little asymmetrical, as if you could have just picked them from a garden or meadow and put them together yourself. 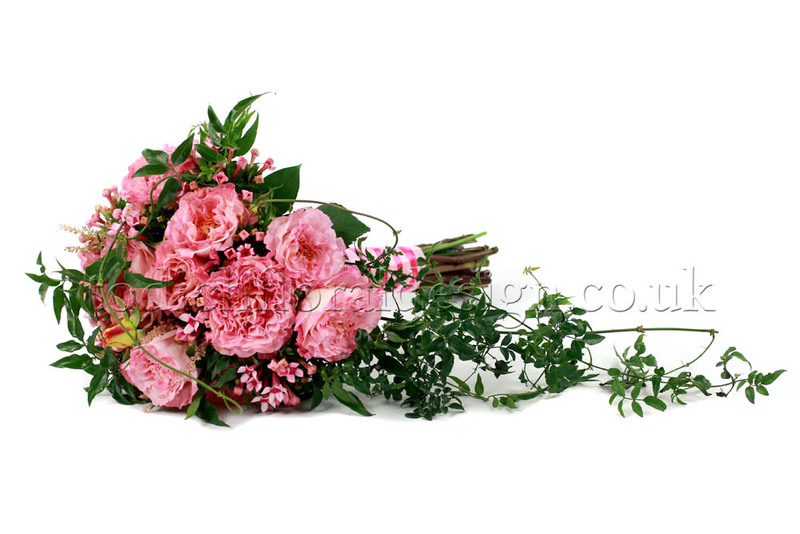 Wild, garden-style flowers and foliage are usually used, but elegant flowers such as roses, peonies and lilies can still find their place in a rustic setting. 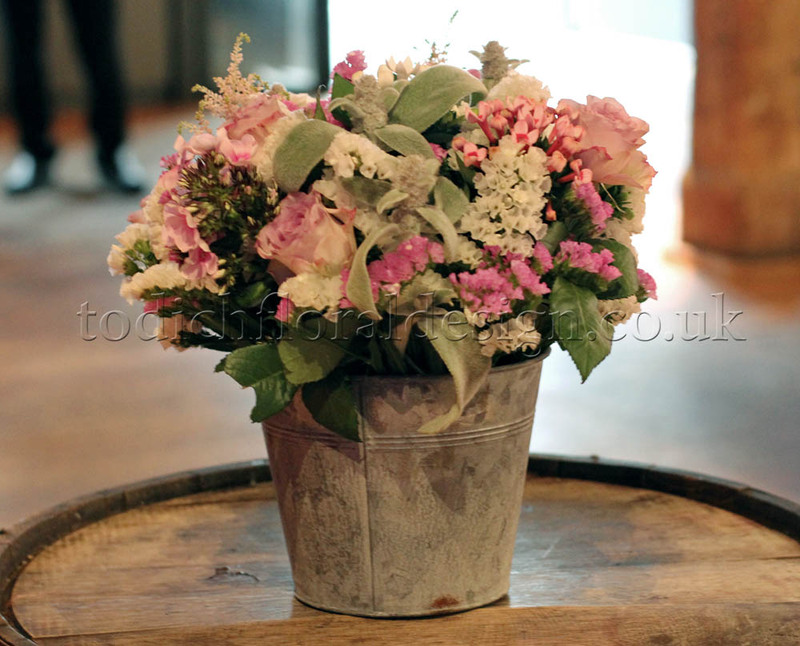 As a wedding florist, things we love in terms of rustic wedding flowers ideas include watering cans, milk churns and even wellies used as containers to put the flowers in. And a battered old wheelbarrow brimming full of wild flowers makes a wonderful and unusual entrance display. 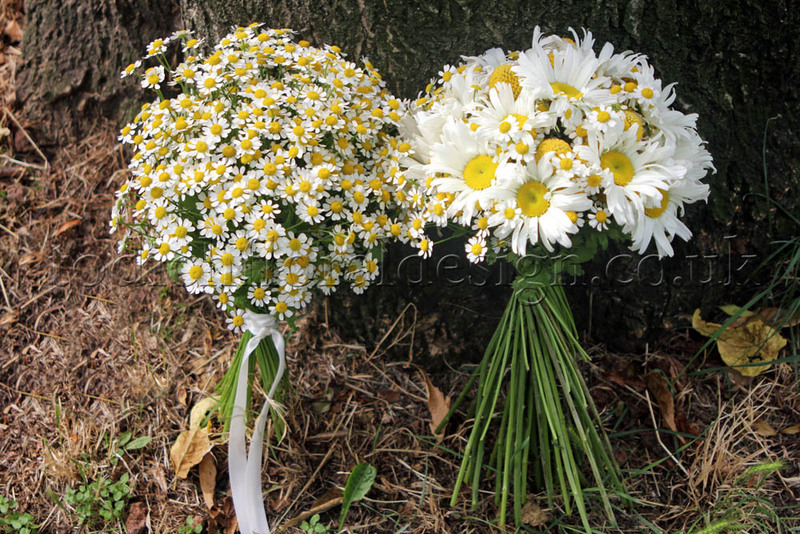 For a spring wedding, plush bouquets of chrysanthemums and daisies can make a lovely seasonal alternative to the traditional rose. Muted colours and tones usually work best for rustic weddings, although pops of colour can be added to give interest and contrast. Pink is seeing a comeback in the form of soft, blush tones, and although a wedding all in pink and white might seem too girly, this pretty colour creates a really warm, natural and romantic look. For an outdoor, garden wedding a mixture of cream and light pink roses look lovely on tables glowing with candles, and combined with wooden furniture will create a very relaxed atmosphere. To give the feeling that your wedding flowers have been picked from an abundant field and to really reflect the variety in nature, you might consider combining sweetly scented white freesia with various tones of pink flowers and lots of soft, wispy foliage such as ferns. Add in a few branches and accents of wood and you have a gorgeously romantic rustic theme. At bridal florist Todich Floral Design, we believe an important element to rustic wedding flowers is lots of greenery. Cascading bouquets and flower garlands are a great way to achieve this and are very popular for rustic weddings. Delicate flowers can be woven in to garlands of foliage such as ivy, ruscus, ferns and pine and strewn across tables, woven up posts or banisters and draped across doorways or freestanding arches to give a feeling of abundance and bringing the outdoors in. Moss and twigs are also great for creating a natural, outdoorsy look and look lovely incorporated in to wedding table floral designs. For lighting, a great suggestion is to use antique lanterns and do not hesitate to decorate the lanterns with flowers as well, as part of the wedding will happen during the day while the lanterns are not lit. Twinkling fairy lights are lovely too and look incredibly romantic when strung outwards from a central point. 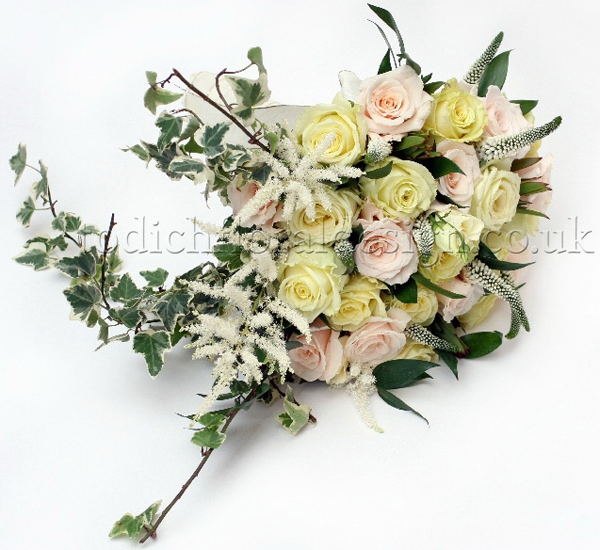 Of course it’s also important that the flowers complement the wedding dress and bridesmaid dresses too, so at wedding and event florist Todich Floral Design we will discuss this, along with wedding flowers cost with you to provide a solution that works perfectly with your budget and theme. 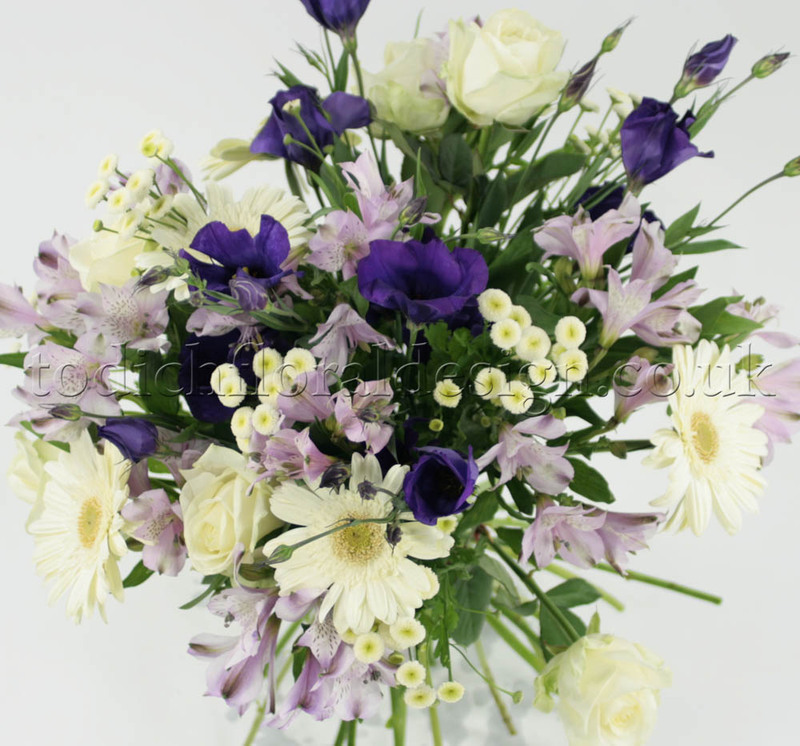 We will also discuss wedding flowers by season and any initial bridal flowers ideas you may have. For more inspiration for a wedding theme that is both glamorous and rustic combined, check out this video about the new ‘RustaGlam’ design trend identified by top US design company, Kohler Co or browse our wedding flowers gallery to view a range of wedding flowers; buttonholes, corsages, bridal bouquets, ceremony and reception designs and more. For same day flower delivery in London visit our online flower delivery shop. and style. In addition to weddings, we also cater for a number of events and are considered a top events florist in London. 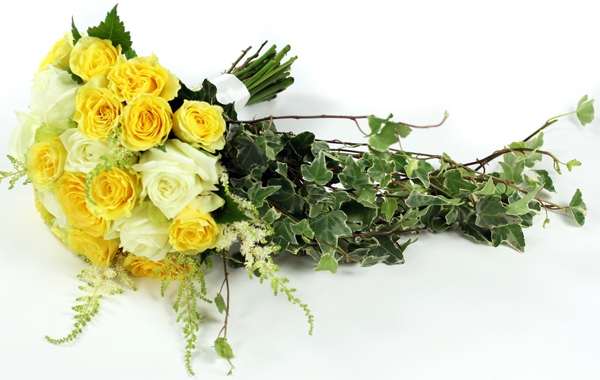 Whatever the occasion, our experienced team of florists will come up with a personalised, original concept for your event flowers and help you set the mood for your special event. 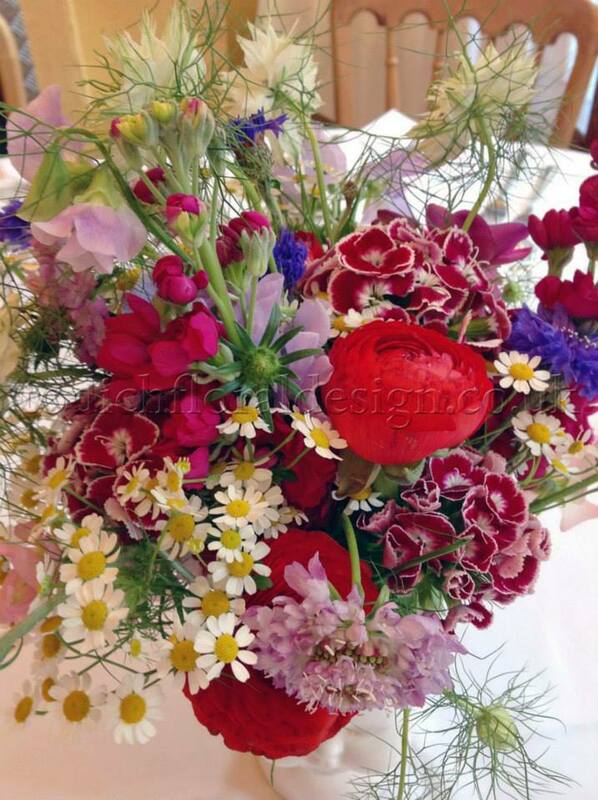 For more information on our wedding or events flower service, dial 020 7737 1166 today.